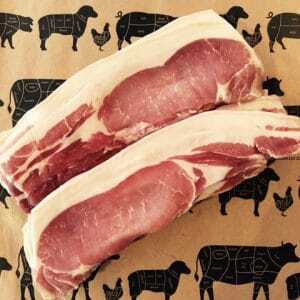 Home cured on site from local outdoor pork, delicious flavour with the fat running through, bacon how it used to be. 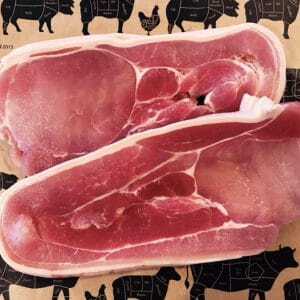 Home cured on site from local outdoor reared pork, bacon how it used to be. 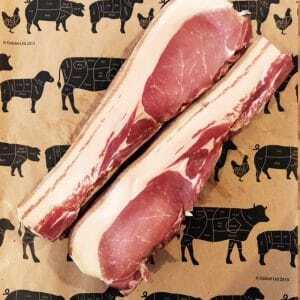 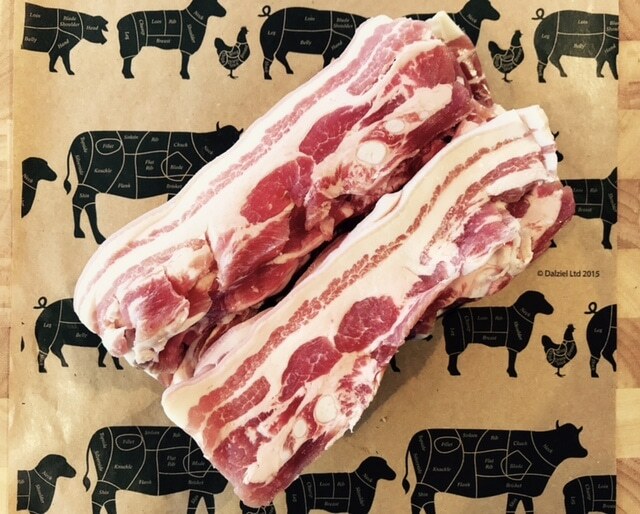 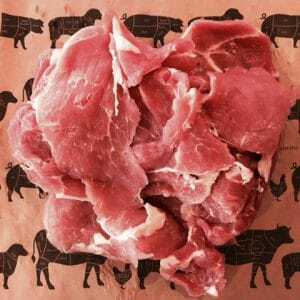 Bacon offcuts from all our bacon mixed into one pack, great for quiches, soups or if you’re lucky they may be some steaks or slices inside. Back and streaky together given you the best of both.